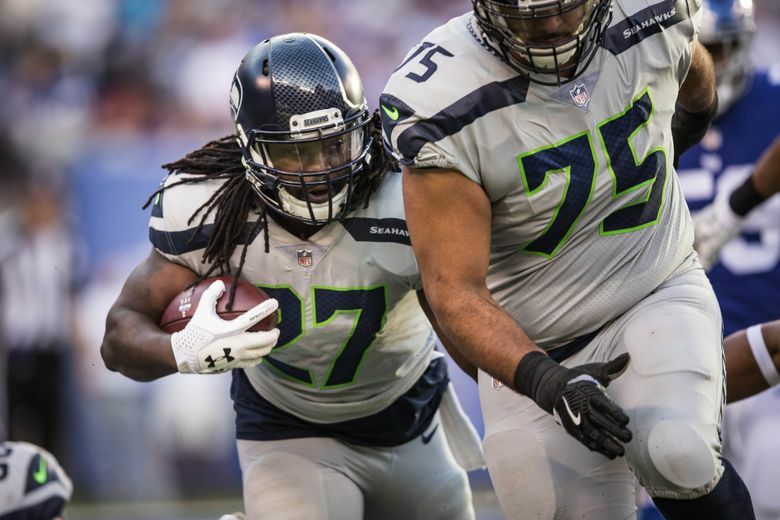 Seahawks coach Pete Carroll on Wednesday suggested that the team will give Eddie Lacy the bulk of the work at tailback Sunday against Washington. Last Sunday against Houston, Lacy had six carries for no yards. By contrast, Lacy had no fewer than 11 carries in each of the five games he played for Green Bay last season with a high of 17 in rushing for 360 yards on the season and an average per carry of 5.1 before being sidelined with a broken ankle. Lacy said Wednesday he hadn’t been told that the Seahawks might make him the feature back this week. But he said that getting few carries and getting them sporadically has made it more difficult to run the way he has in the past. Rawls has had similar usage all season getting five, zero, eight, 11 and six carries in the five games for which he has been active, gaining 59 yards on 30 carries for the season. As for why the team appears for now to have picked Lacy over Rawls as the tailback to feature there could be a couple of factors, including that the team made a significant financial investment in him and may want to finally just try to commit for a little while to getting something out of it. For another, Lacy has a lot more experience in a starting and feature back role than Rawls, having started 48 games in four seasons with Green Bay, and the Seahawks may similarly have decided to commit to Lacy for a game or two and see if he can produce in the same way he did with the Packers. Rawls also has struggled even more than Lacy not only in running but dropping a touchdown pass last week and a screen pass the previous week against the Giants when he also lost a fumble. The team also knows it can go back to Rawls — who thrived as a rookie in 2015 when he was the backup to Marshawn Lynch and became the starter when Lynch was injured — if Lacy falters. For now, it’s Lacy’s ball to take and run with as far as he can.